Ultimately a comfortable victory for an curious Chelsea youth team Jeffrey Bruma dropped down to play in his third season of youth cup games alongside him in defence was a schoolboy, Daniel Mills Pappoe. Josh McEachran, Conor Clifford (captain for the night), Gokhan Tore, Jacopo Sala and Milan Lalkovic all stepped down from regular reserve football. Wolves went to Old Trafford tonight with ten changes from the side that beat Spurs at the weekend and surrendered to Manchester United. 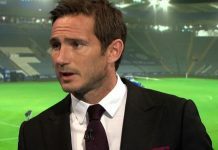 The rule that a club must play its strongest team has fallen into disuse as squads have increased and Wolves will not face any sanction but they have shown contempt for his own supporters as well as Chelsea and Arsenal. “I’m not bothered about angry reactions anywhere else, my priority is my own team and any decisions I make this season will be based on whether or not we can stay in the Premier League”, Mick McCarthy said after the match. You can debate whether any club should be protecting its first team before Christmas and McCarthy has a point but abjectly surrendering the points at Old Trafford distorts the title race. My best friend at junior school was a Wolves fan and I’ve plenty of friends who work in Wolverhampton (it is a long story) I’ve visited Molineaux many times but after last night you have to hope Wolves are relegated. Earlier in the day Ancelotti announced that Didier Drogba injured his back in training and is a doubt for tomorrow night when Avram Grant returns with Portsmouth. The most worry aspect of the whole game was at the back Terry and Alex seemed to want to play either on the same blade of grass or miles from each other. We’ll put it down to rustiness. Thankfully Ivanovic was upended in the box by Marc Wilson and Frank remembered how to score, thrashing it down the middle. 2-1. There was still time for Borini to put his name up in lights but the touch round Begovic took his too wide and his shot across goal just missed. “I am happy because it was becoming a difficult game … the 15 minutes in the second half after they levelled was not good, we lost our composure, we lost our ideas to play, but then we did a very good reaction, we changed something on the pitch, we put some fresh players on and had a good reaction to the end of the game. We deserved to win and that was the most important thing after four games without victory. That was the first aim.” Amen. Sadly Brendan Rodgers lost his job at Reading. He had only been in the post since the summer when he joined the Royals from Watford. We don’t think Brendan will be out of work long. Chelsea would have offered him his old job back but there is something of a recruitment squeeze out at Cobham. Obviously we are not sure when the games will be played because Uefa decided to spread the games over the best part of a month. Sorry, as soon as you type that they announce the dates: Wednesday 24 February (San Siro) and Tuesday 16 March (Stamford Bridge). Ancelotti looked pissed off, he stressed that it was Chelsea against Inter not Ancelotti against Mourinho but who is he kidding. Ah, sod it, the tie is a great Christmas present for the club. Joe Cole, Didier Drogba and Ricardo Carvalho all return on Sunday against West Ham United. At the start of the second-half Didier latched onto a monstrous clearance from Cech and volleyed across Green a al Van Basten but the effort was wide. It was a below par Drogba’s only real contribution. West Ham thought they should have had a penalty for a shove by Carvalho, by that yard stick John Terry would have a penalty or two in every game for being wrestled to the ground. Yuri Zhirkov came on and look a threat down the wing one cross prompting a scrambled clearance. He should stay in the team for Saturday. Secret cash payments scandal, or not, John Terry played today in the knowledge that the thinking man’s Sunday paper, News of the World, fitted him up with fake businessmen asking for a our of the training ground. Terry though took no money and even if he had were is the harm? He is not selling state secrets to the Russians, just making a few quid for charity. Next articleWHY THE ANTI JT CAMPAIGN?